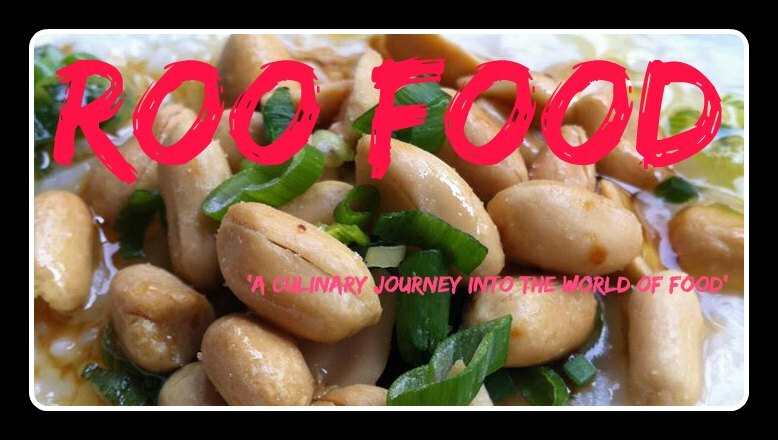 I try to avoid mixing business with pleasure - in this instance dining out for a work function and blogging about it, but I couldn't help myself today there was just to much good food. 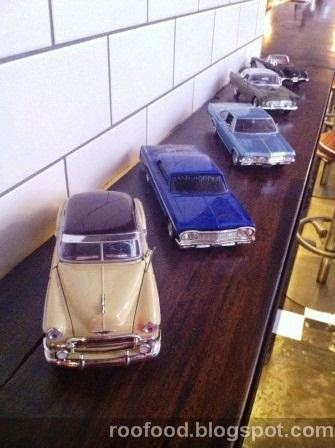 A team lunch (for 2 farewells) found us at Bridge St Garage. 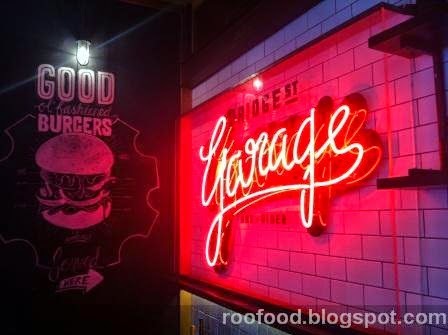 An American style bar and diner with a latin American twist on the menu housed in an old garage in the heart of the CBD. Enter from bridge St into the bar area or there is an entrance from Bridge Lane that takes you into the bistro area out the back. 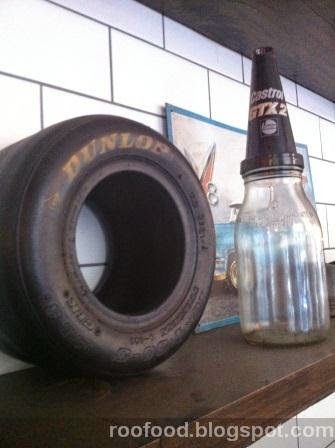 Entering the bar you definitely feel like you are stepping back in time to an old era garage complete with old oil company signs, tyres, exposed brickwork, old tiling and quirky little knicknacks shelved on the walls. I like the feel and atmosphere! 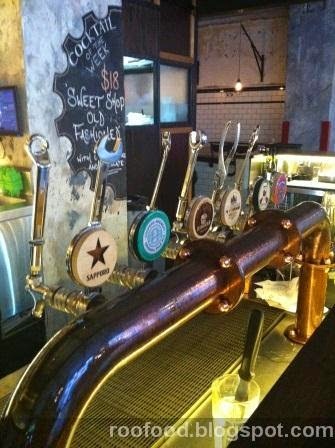 Check out the mechanic's tools beer taps. We are seated in a booth opposite the kitchen, perfect for food gawking and kitchen watching. 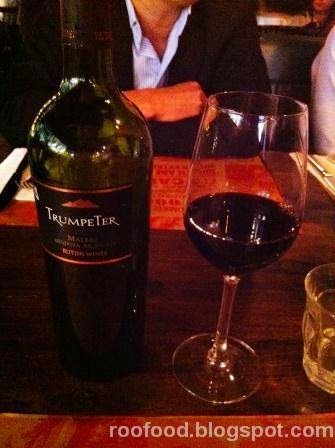 Browsing the wine selection we choose a Trumpeter Malbec, a red to go with burgers. 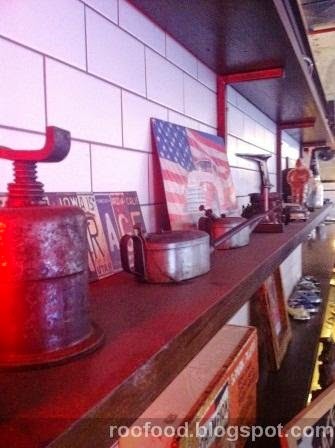 The menu is Latin American inspired American pub food and it's a hard decision what to go for. 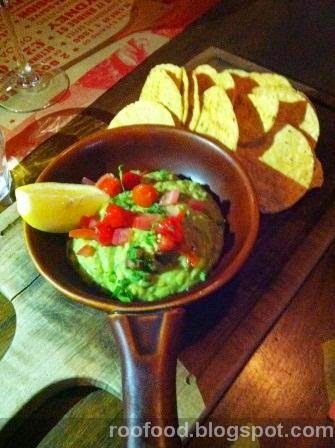 We start with a couple of serves of the Guacamole and Chips. It's a classic! For mains there is many choices had by the team. Luckily they let me take photos of their dishes before noshing in.... one reason why the quality of the photos are not so good. No time to set up and style, low lighting (one of my colleagues was kind enough to light his phone up for extra lighting - I told him he would come in handy at a food bloggers dinner *giggles*) and generally didn't want to be a nuicance around colleagues! First up the Bridge St Garage Reuben - New York classic, shaved pastrami, bacon sauerkraut, gruyere cheese, special sauce, coleslaw and pickles. 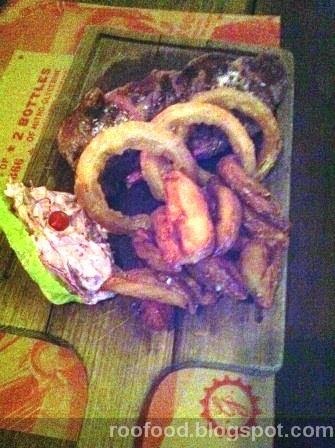 New York cut grass-feed steak - 300g of stiploin, coleslaw, hand cut chips and beer battered onion rings. This got a rave review! A Garage burger - dry aged Angus and Waygu beef patty with tomato, beetroot, pineapple, bacon, provolone cheese and special Garage sauce on a toasted bun and hand cut chips. It's an Aussie works burger meets Latin American style! 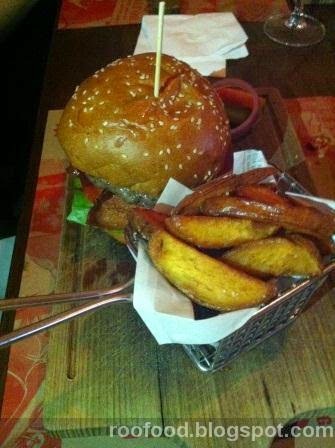 ....and then there was my burger (a few of us actually ordered this). The Gaucho Burger - A dry aged Angus and Wagyu beef patty, spanish onions, lettuce, radicchio, provolone cheese, chimichurri sauce on a toasted bun, this also is served 'hot-rod' style with a spicy patty!!!! The beef patty is medium rare (exactly how I like my meat) and is juicy. This is a good burger and it certainly had some kick to it. 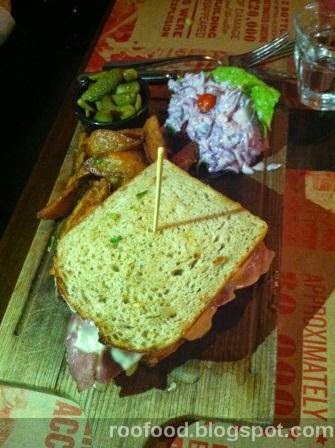 I love the cute baskets that the hand cut chips are served in and all our meals are served on wooden chopping boards. Overall, the food is tasty the atmosphere is good for a CBD lunchtime and feel that this could be a great venue for drinks and dinner after work or a Friday night.